Online training for cross-cultural skills are in high demand. 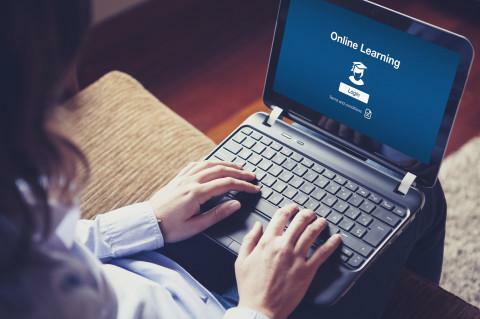 So why are corporate training stakeholders turning to e-learning? Tradtional face-to-face training has become more of a challenge over the past 15 or so years. An evolving global marketplace has created a change in infrastructure and logistics which in turn has resulted in different needs when supporting employees. The classroom or workshop style training intervention is now being replaced by online learning and e-learning courses. Although many aspects of face-to-face training are recognised as beneficial, stakeholders such as company owners, managers and HR are realising that e-Learning may actually offer even more benefits. So what are some of these benefits they're finding? e-Learning is simply cheaper. Although initial investment might be high in terms of finance, time and energy, once a course is built nothing else really has to happen. Every time it is used by an employee for training it becomes cheaper and cheaper as the costs are being divided per head. Unlike face-to-face courses you no longer have the usual expenses such as travel, meeting room hire, food, electricity, etc. e-Learning also saves on many other unseen costs which are part of face-to-face training. You no longer have printing, whiteboards, pens, paper, equipment, projectors and all the other physical objects you would need in order to deliver a physical course. As well as save on costs it's also much better for the planet in terms of reducing your carbon footprint. Because e-Learning is not bound by geography or time, you can control when it happens and who to. For example, quiet periods of the year might be used to conduct training with minimal impact on the organisation. People are now being pressed to deliver more with less in their roles and training is essential in boosting this productivity. Every face-to-face course delivered will inevitably be different due to the numbers of factors that contribite towards it. Different trainers, different learners, different times all have an impact on delivery. e-Learning allows you to build a training solution that is standard and consistent. A common problem with traditional classroom training is getting people's calendar's to sync or to get everyone at the same place and time. Online training removes this headache as learners can access a course in their own time from whereever they are in the word on any device. A classroom setting can sometimes be tough for people who don't understand something. Failure is an important part of the learning experience so online training allows people the chance to make mistakes without fear of consequence. This gives the learner confidence and improves learning. e-Learning courses have come a long way. The use of multimedia and UX in design can produce a very rich learning experience that is repeatable. The additon of case studies, quizzes, games, forums and similar all help expand the learning experience. When taking an online course the learner has the chance to personalise the learning. They can stop when they want, check facts online, watch a video, take notes, etc without the need to think about time and others around them. Learners want control and e-Learning allows them to have a say in what and how they learn. Interested in e-learning? Then please visit our Online Training Courses for more info.